KSIDC Review 2019: Is KSIDC a Good Hosting? 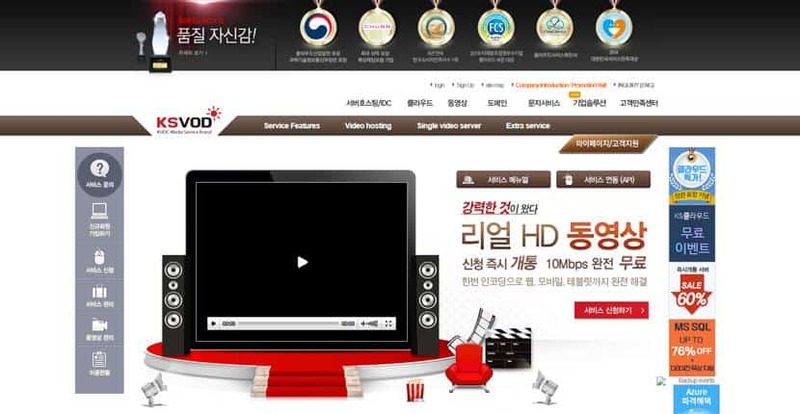 Since 2003, Korea Server Hosting Co (also known as KSIDC) has been a prominent web hosting provider in the country. It offers both B2C and B2B web hosting solutions built on a cloud infrastructure. Since its inception in 2003, Korea Server Hosting Co (also known as KSIDC) has been a major web hosting provider in the country. With prominent partners such as Microsoft, IBM, HP, SK Broadband, Symantec, and Verisign, and with a client base comprised of game developers, media outlets, cosmetics industries, and corporations, KSIDC has grown to become a household name for web hosting in Korea. Since KSIDC’s main customer base is made up of larger organizations, you won’t find your typical shared hosting solutions with this provider. Rather, expect mission-critical and high-availability hosting with fast SSD storage and a minimum of 99.98% uptime. KSIDC also offers a number of other solutions such as video hosting and SMS hosting, along with productivity tools from Microsoft. This is in line with the company’s mission to be reliable technology partners for large organizations. After taking a thorough look at KSIDC’s services and packages, I have to conclude that the prices are all on the higher end of the spectrum. However, given that it provides enterprise-grade solutions, this is not surprising. You won’t find the typical 30-day money back guarantee with this provider. However, if you’ve prepaid for the service and then end up canceling before the end of your contract, you’ll receive a pro-rated refund of up to 90% of the balance. 10% of this fee will serve as your cancelation charges. 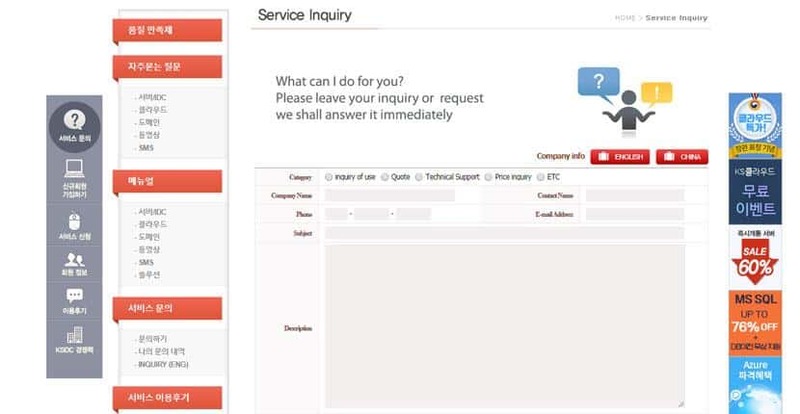 As would befit its status as a premium cloud hosting provider, KSIDC’s support system is quite satisfactory. You can reach customer support via phone, email, and fax. Korea Server Hosting (or KSIDC) is a premium cloud hosting provider offering B2C and B2B solutions. However, this may not be the best platform for beginners. Wondering how KSIDC stacks up against other Web Hosting companies? Enter any other Web Hosting company and we will give you a side-by-side comparison.